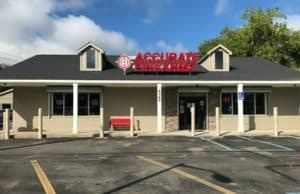 Accurate Firearms, LLC was founded by James Kesteloot and is located on Dixie Highway in Clarkston Michigan. A family owned and operated gun shop, Accurate Firearms LLC features the most advanced handguns, rifles and shotguns money can buy along with an equally impressive line of classic firearms and even a generous used section. Our mission is simple; provide the highest quality products at the most competitive prices. We purchase direct from the manufacturer, only top quality merchandise. We stand behind every product we sell. If you are ever in the Clarkston area stop on by, we are easy to find and our sales staff is friendly and knowledgeable. 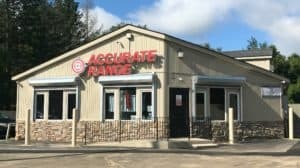 We opened a state of the art indoor range in 2013, Accurate Range is conveniently located right next door to Accurate Firearms. Stop on in and test out your new purchase!